Barry W. Lee, a partner in the San Francisco and Los Angeles offices, is co-chair of the trial practice group and the financial services litigation group. He focuses on commercial litigation and has extensive jury and bench trial experience encompassing a variety of areas, including real estate, banking/lender liability, antitrust/unfair competition, employment, consumer class actions, environmental, construction, probate, securities, products liability and insurance coverage. Barry’s most recent trial experience includes the successful defense of the purchaser of a $110 million loan from a trust established by the Federal Reserve Bank of New York in connection with JP Morgan’s acquisition of certain Bear Stearns assets, and the successful defense of one of the nation’s leading health insurers in a whistleblower and wrongful employment termination action. Barry was co-lead counsel with Robert A. Zeavin in Manatt’s successful representation of ICO Global Communications (Operations) Ltd. against The Boeing Co. and its Boeing Satellite Systems International subsidiary, which resulted in the largest total jury verdict in the U.S. for 2008. 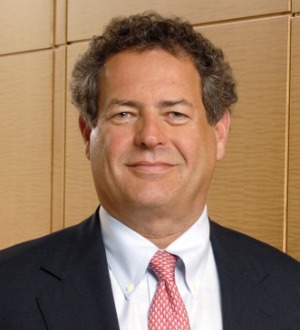 Barry has been a contributing author to an antitrust treatise and has authored numerous articles and appeared as a speaker for the Practising Law Institute on various topics, including trial practice, discovery, directors’ and officers’ liability, professional liability insurance for lawyers and accountants, and antitrust. Barry was a partner and chairperson of a San Francisco-based firm that combined with Manatt.